Multi-I/O CONNECTORS: Tetracam systems contain two types of I/O connections. 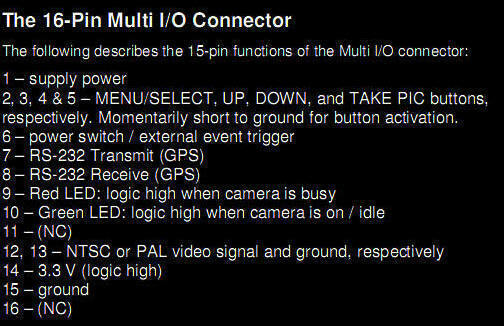 These are discreet IO connections and Multi-IO connections. The ADC Micro, ADC Snap and Mini-MCA systems (shown immediately below) provide IO connections through a 16-pin Hirose circular or 16-pin flat edge Multi-IO connector (see example Hirose Multi-IO circular connector at right with pin outs to the right of that). 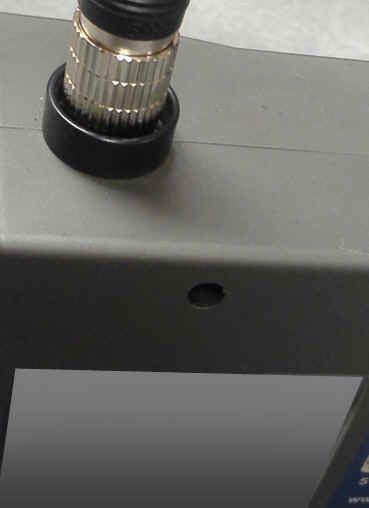 Whether the Multi-IO connectors are circular connectors or flat edge connectors, the pin outs in each of these Multi-IO connectors have similar functions. 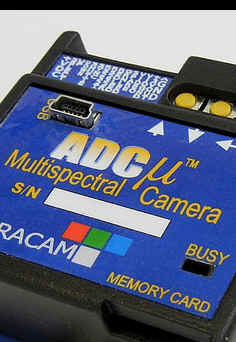 Three other Tetracam systems (the ADC, ADC Air and ADC Lite shown below and to the right) possess discreet IO connections. These supply power, an external trigger pulse, RS232 serial interface signals, USB interface signals and video. 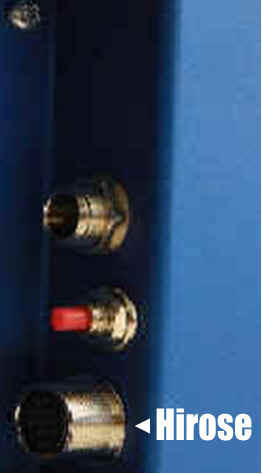 Of these three systems, the ADC and ADC Air have both discreet IO connections and Multi-IO connections (see system connectors pictured below those previously referenced). 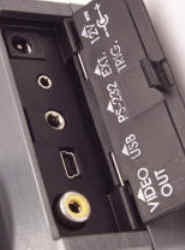 The pin outs in each of these Multi-IO connectors also have similar functions to systems with multi-IO connectors alone. 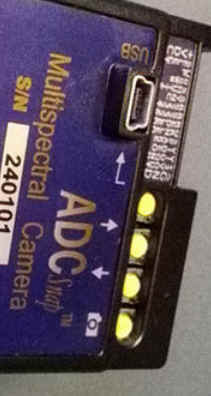 Only the ADC Lite lacks a Multi-IO connector (externally). A Multi-IO jack is available inside the ADC Lite for custom applications. Multi-I/O CABLES: Cables are available from Tetracam (such as the one pictured below) to connect Multi-IO connectors on Tetracam systems to Multi-IO connector test boxes or to un-terminated wires for connections to other user equipment. 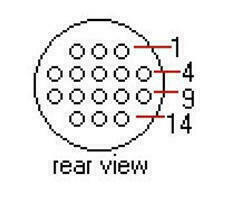 The table below shows cables that are available to connect to Multi-IO connectors on the designated systems.